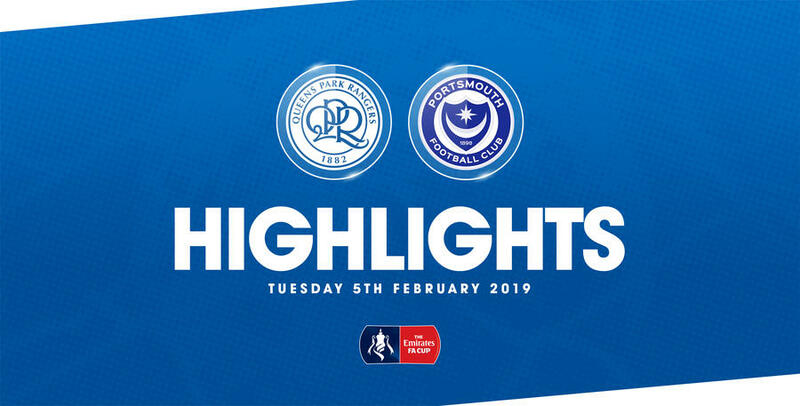 QPR will play in the 5th Round of the FA Cup for the first time in 22 years after comfortably defeating Portsmouth 2-0 in the FA Cup 4th round replay at Loftus Road this evening. 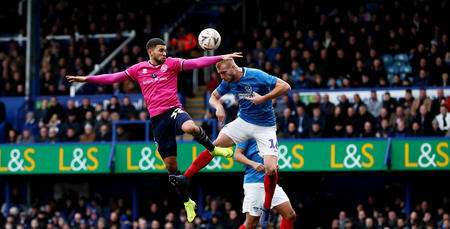 Second half goals from the two forwards Nahki Wells and Matt Smith gave a dominant Rangers side a deserved victory over League One’s third-place team. The result means the R’s will play Watford in next week’s FA Cup 5th round for a chance to reach the quarter-finals. Rangers opted to make three changes from Saturday’s defeat against Wigan with Ebere Eze, Pawel Wsolek and Captain Toni Leistner dropping to the bench to be replaced by Matt Smith, Bright Osayi-Samuel and Grant Hall. Our visitors Pompey also made changes from their league game against Doncaster with Anton Walkes, Oli Hawkins, Christian Burgess, Adam May and Louis Dennis all coming in.Before the game began there was a minute’s silence for former QPR player Matthew Brazier and Academy Analyst Antony Pallett who both sadly lost their lives this week. The first opportunity of the match fell to Matt Smith in the 5th minute. Darnell Furlong found him with an accurate cross down the right-hand-side but he headed just wide of the near post. Rangers had enjoyed the better of the opening exchanges and Furlong was again the architect in the 14th minute when he kept a floating ball alive and teed up Massimo Loungo, who volleyed just over from close range. Luke Freeman was next to have an effort on goal when his ambitious long range shot went over the bar. Pompey were playing a 4-1-4-1 formation but struggling to support the target man Oli Hawkins. In the 34th minute QPR went so close to taking the lead and it was again Furlong who met an inswinging corner from Freeman but his header cannoned off the cross bar. The visitors failed to register a single shot in the first 45 minutes and the Hoops had undoubtedly controlled the half but had nothing to show for it. QPR picked up where they left from at the start of the second period with Luongo, playing his first home game after international duty with Australia in the Asia Cup, going close on two occasions from corners. Being roared on by the Loft QPR upped the tempo and were close to opening the scoring when Wells looked to be through on goal but a fabulous late sliding challenge from Matt Clarke denied him. It was all one way pressure and only seemed a matter of time before McClaren’s side would find an opening. And with 21 minutes left the R’s deservedly took the lead albeit in a scrappy fashion. Rangers had looked dangerous from set-pieces all night and when Joel Lynch diverted an effort goalwards, the predator Nakhi Wells was on hand to bundle it in. 1-0 and Loftus Road was rocking! 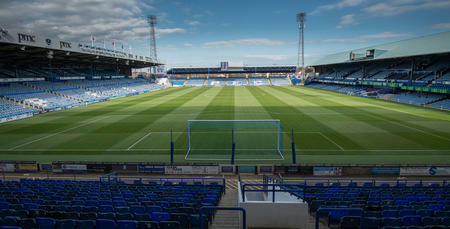 Portsmouth resolve was broken and seizing the initiative QPR sealed the game 14 minutes from time. Another excellent Freeman dead-ball found the head of Matt Smith and the forward powerfully headed in his third goal of the campaign. Steve McClaren brought on Ebere Eze and Ryan Manning for Bright Osayi-Samuel and Nahki Wells as the R’s looked to see out the game. In truth, it was QPR who looked like adding a third as opposed to the visitors coming back into the game with Smith and Josh Scowen both firing over from tight angles. As the 90th minute approached Tomer Hemed made his return from injury replacing Smith who went off to an excellent round of applause from the Loftus Road faithful. Jamal Lowe went close for the visitors from a late corner but QPR held out for a morale-boosting clean-sheet. All in all an excellent night for Steve McClaren’s side who will play in the 5th Round for the first time this century. 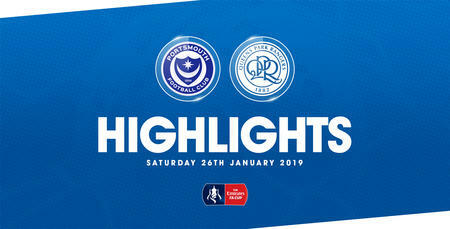 WATCH extended highlights of QPR's FA Cup 4th round replay win against Portsmouth.